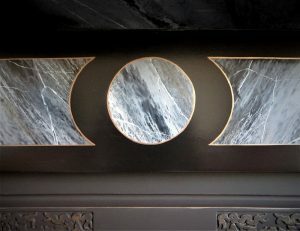 This faux marble fire surround was the second fireplace to be painted for a couple in Milton Keynes. 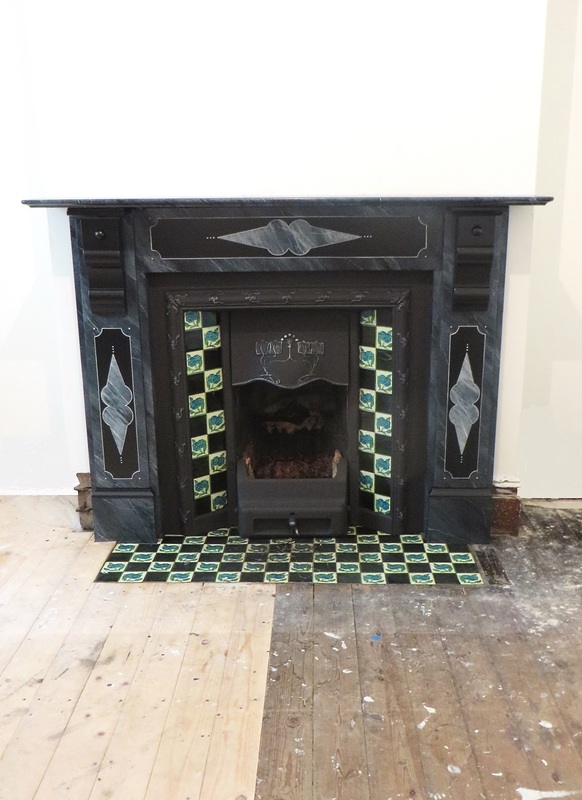 The room was undergoing extensive redecoration as was the rest of the house. 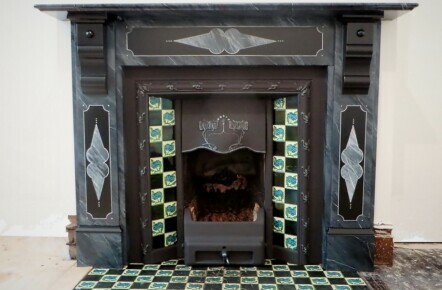 As with the one I painted in the lounge, this one was in very poor repair though the original Victorian marble painting was still faintly visible and offered a glimpse at what the surround would once have looked like. 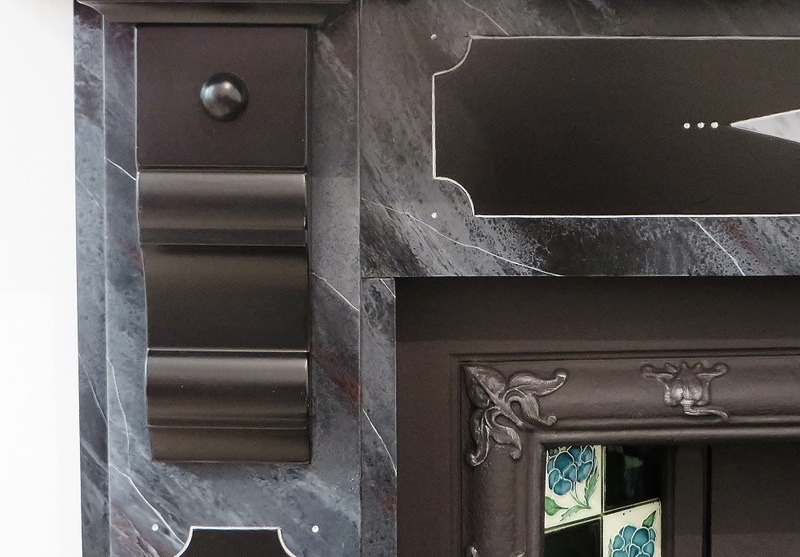 Faux marble painting was very popular in Victorian times, with fireplaces painted by master craftsman to mimic real marble and create a true focal point for the room. 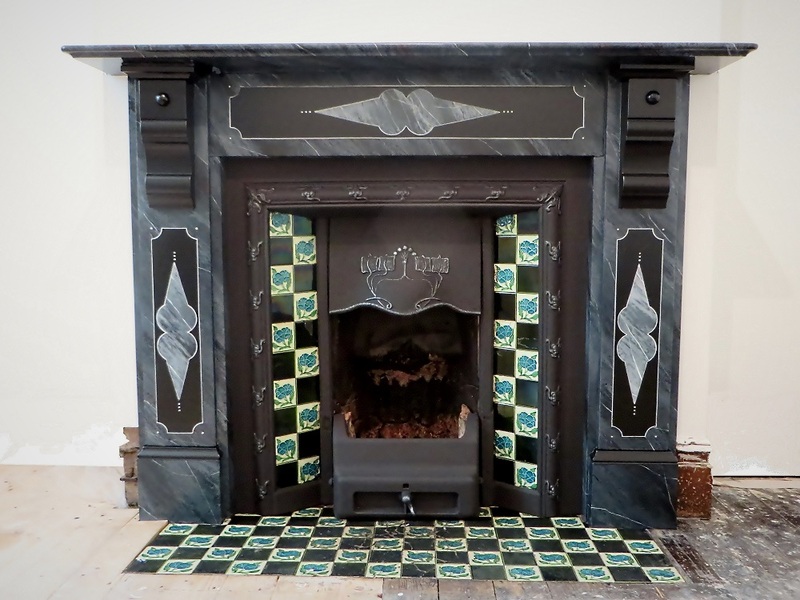 The clients were very keen to restore the look of their fireplace but wanted to change its original colouring to a black base with grey and white marbling. 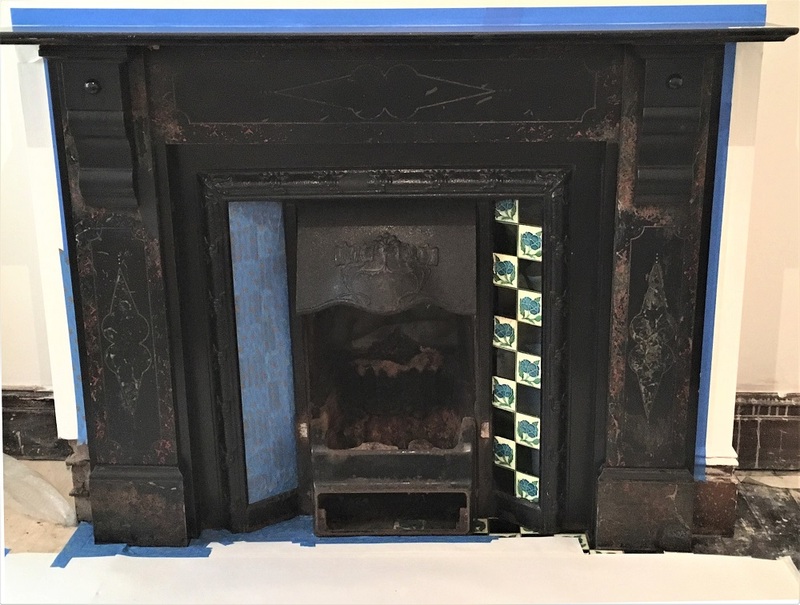 To restore a fire surround like this involves a fair bit of prep but unlike the technicolour extravaganza on the other fireplace this appeared to have been painted little and may even have been the original finish, albeit very worn and chipped. 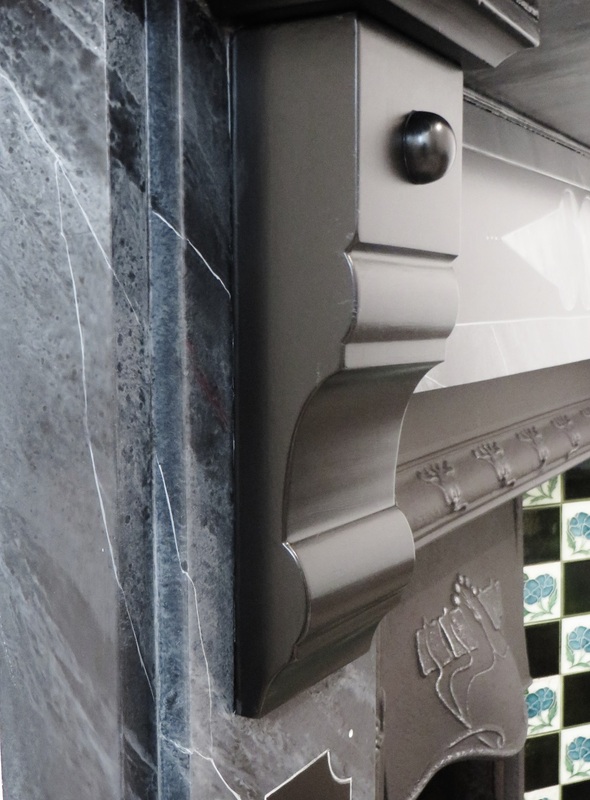 A key decorative feature of this fireplace were the panels, the centers of which were faux marbled and then brought to life with an edged line in silver. 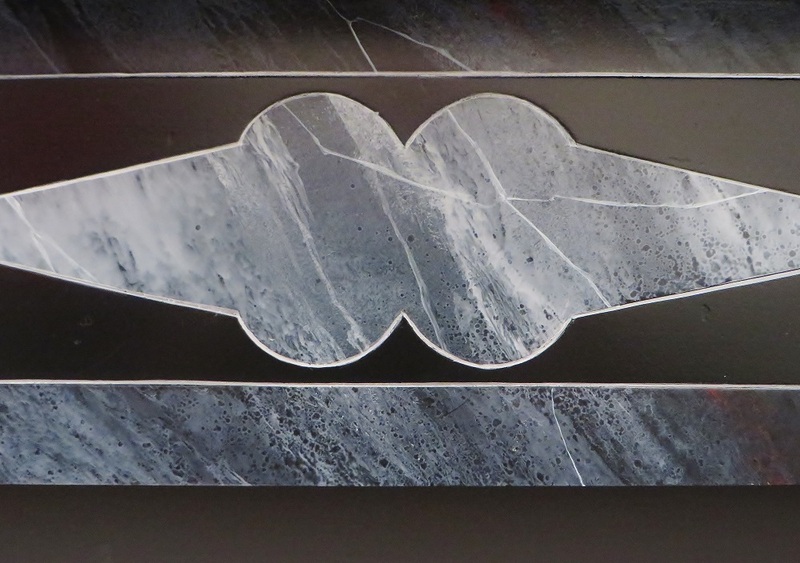 I also brushed some of the same silver over the ornate metalwork on the hood to bring out the lovely detailing. 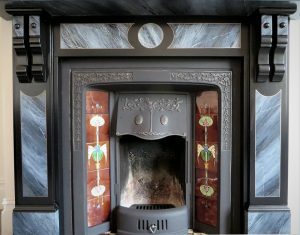 Both of these fireplaces were fabulous projects to do and I got an immense amount of pleasure restoring and painting them. 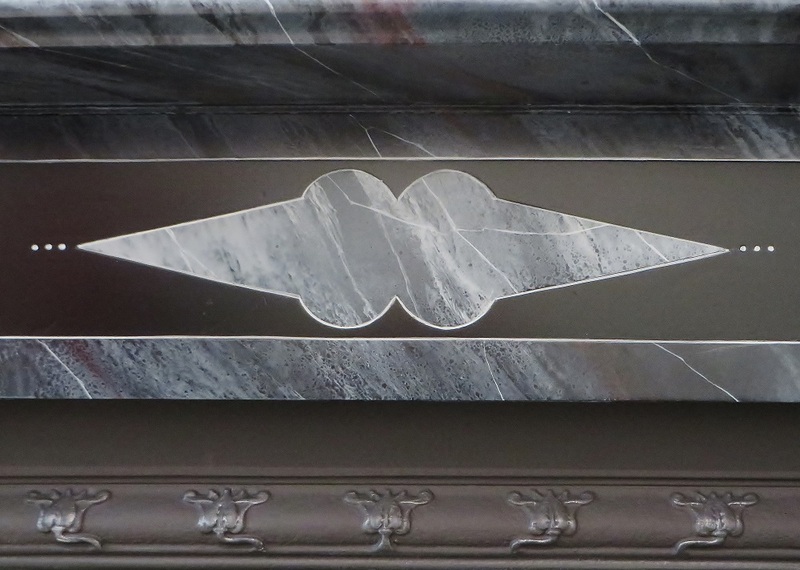 Once again they have fulfilled their destiny, each becoming the focal point of the room once more. 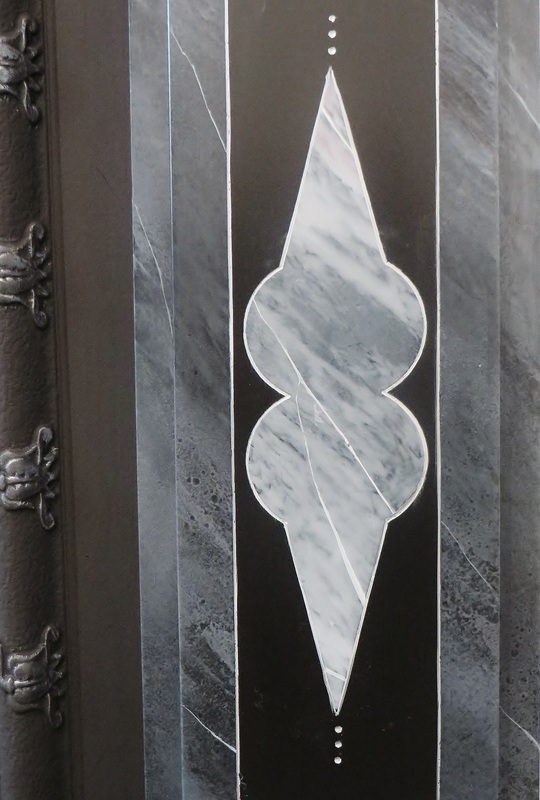 please click here to visit the project page.